Saturday, June 2, 2018. 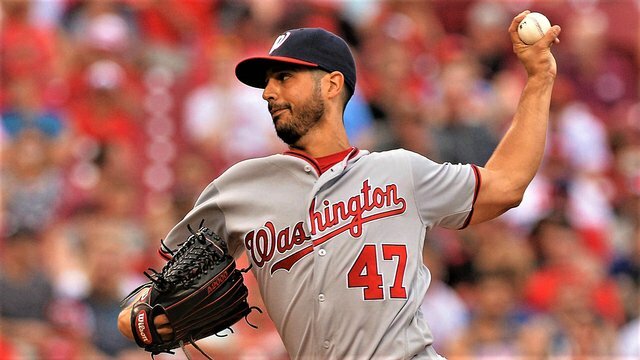 Welcome to the #MLB Daily Pick'em! All contestants are allowed one "bet." All "bets" must be placed by 4:05 pm EST. Contestants must pick a Team to win each game. 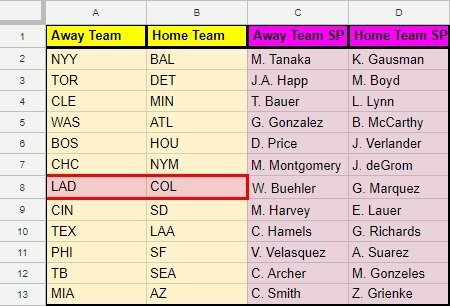 Tie-Breaker, each day I will pick a game where you will need to pick the Combined Total Runs Scored without going over. Combined Total Runs scored, without going over, wins the contest. List your "bet" as follows, Winning Team for each game + Tie-Breaker. Example: NYY, TOR, CLE, WAS, BOS, CHC, LAD, CIN, TEX, PHI, TB, MIA, Tie-Breaker 12. All contestants must UPVOTE post to play. All contestants should try their best to circulate the post/contest. Winner(s) get 50% of the post's liquid SBD earnings. Any post edited after the deadline will be disqualified from the contest. MLB Daily Pick'em will be running everyday of the season, into the playoffs, and through the World Series. Please list your bets in the proper order listed so that it's easier for me to grade the picks. If you have any ideas, suggestions or ways of helping the contest, feel free to let me know. Resteem appreciated. Follow me here on Steemit or find me on Twitter. Check out NBA Finals Pick'em Contests at @sportsncoffee Best of Luck! This comment has received a 1.24 % upvote from @booster thanks to: @sporttr. This comment has received a 1.24 % upvote from @booster thanks to: @passat. This comment has received a 0.83 % upvote from @booster thanks to: @stnr.